To a certain degree, 3D printing, injection molding, and plastic machining technology overlap in their capabilities and offerings. But which fabrication process is most appropriate for your project? What are their key differentiators? The following article assesses the utility of each technology with regard to precision, efficiency, materials and more. 3D printing is an additive manufacturing process that prints layers of plastic substance in three dimensions onto a single point. 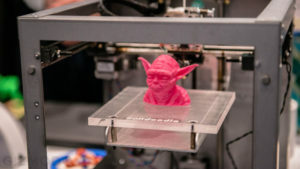 The popularity of 3D has grown significantly over the past few years, and it can easily be used for rapid prototyping, DIY production and manufacturing by small-scale engineers or designers. Many of the advances in 3D printing have been focused on bringing down prices, rather than technological advancement so that it can be more accessible to “mom-and-pop” users who are otherwise not eligible for the more expensive and advanced manufacturing processes. Another additive technology, injection molding is a manufacturing process in which parts are produced by injecting materials in liquid form into a mold. Commonly performed with thermoplastic polymers, it can be used with a variety of other metal and glass materials. Small pellets of material are heated into a molten liquid which is then injected into a mold at high pressures and rapidly cooled—causing it to harden—and then ejected from the mold, exposing the part to air. 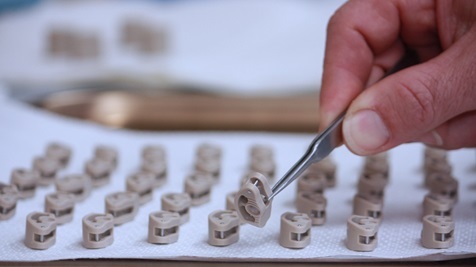 Two of its key benefits include a fully automated process—permitting very high rates of production—and also that its molds allow for highly detailed and intricate parts. 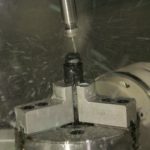 Finally, plastic machining, or CNC (Computer Numerical Control) plastic machining or CNC milling, involves the precise removal of layers from a material. Typically beginning with a block of the desired plastic material, plastic machining involves removing material layers at a time and allows for many different materials to be used. Introduced by MIT during the 1950s, this technique utilizing drilling tools to carve plastics—and because it’s computer-controlled, extremely precise and tolerant products are achieved. Cost Very low cost when you need 1-10 rapid design iterations on a prototype part. 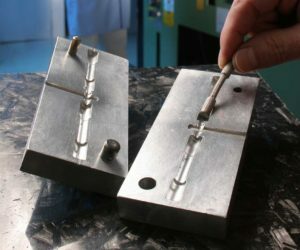 Because creating (or updating) a mold can end up being much more expensive than the actual order itself, this is only cost-effective with very large-scale projects. Significantly cost-effective when you need a few parts up to a few thousand. Design Designs can be highly personalized and unique—this technology is often used by artists and creative professionals. Allows for deep features, square holes and living hinges to be produced easily. High design flexibility at lower costs are allowed. Material Very limited in comparison to other plastic fabrication and unable to achieve the same smooth surfaces as the other technologies. Injection molding has a much wider range of materials available for use compared to 3D printing but is more limited than CNC machining. Broadest range of materials are allowed—CNC plastic machining also achieves the smoothest finish with the fewest imperfections. Production Fast and extremely convenient—small products can be machined in seconds. Requires time to make the mold but once the mold is finalized, production moves quickly. One of the fastest forms of fabrication and can easily scale between small and large outputs. Tolerance 3D printed prototypes are not typically finished parts and are much more likely to delaminate. Best for home and personal consumer-grade products. Parts are molded at tighter tolerances than 3D printed parts but are not as tolerant as plastic machined parts. Highest tolerances available—parts are able to reach +/- 0.002 mm and are best for demanding industries like aerospace and defense, medical and life sciences and power generation. From the above chart, you can see the differentiators of each fabrication process. However, we’ve found that CNC plastic machining is by far the most precise and beneficial process for custom applications. Cost-wise, plastics machining is the most effective for any project that requires unique, strong designs. 3D printing is the cheapest form of fabrication but you get what you pay for with that medium… and the quality typically just isn’t there. Injection molding, meanwhile, offers much stronger products than those that are 3D printed, but modifications to a mold are extremely expensive and injection molded products are not as tolerant as plastic machined parts. Looking at design abilities, each medium offers a wide range of capabilities but again, if it’s quality that your project needs, CNC machining is the way to go—3D printed materials are really only suited to personal or home use and injection molded products cannot hold up to the rigors of the aerospace and defense, medical or power and energy industries (among others). Further, machining designs are crafted on the same computer applications that 3D printing uses so there’s no cost associated with changing the design of the product (unlike injection molding, where a new mold would then need to be created). It is important to note that CNC plastic machining is a specialized craft… not just anyone interested in 3D modeling can create the design for a plastic machined product. Here at AIP Precision Machining, we have over 35 years of technical design expertise and we work diligently with our clients to craft products that exactly meet their project requirements. If you’re looking to decide on a fabrication process via the material selection available to you, plastics machining offers the widest range of diverse thermoplastics for your project. 3D printing has not advanced its material range in many years and because injection molding requires liquidating its materials, you won’t be able to use the stronger, heat-resistant plastics that might be best for your needs. CNC machining is the only process that allows you to choose from the full assortment of material selections. 3D printing and CNC machining tie for the fastest production times, as both take minutes to complete. Injection molding, however, requires more time to make the mold (which can take weeks to finalize). Finally, if your project requires the highest levels of tolerance, precision machining produces the most precise and extremely tolerant products. It’s the only fabrication process suited for critical pieces. Of 3D printing, injection molding and CNC plastic machining, one process is not necessarily better than the other—it’s dependent on your project requirements. 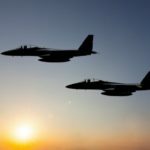 However, plastics machining is by far the most specialized and precise option for high-quality, critical parts needed in industries like aerospace and defense, medical and life sciences and power and energy. Here at AIP Precision Machining, we commonly craft pieces that are able to survive the rigors of space, the inside of a human body or the corrosive chemicals used on an oil rig. We offer state-of-the-art technology and extensive expertise to provide you with the highest quality products. 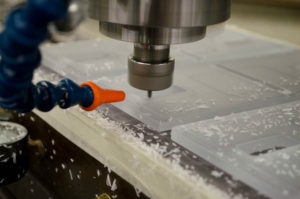 Contact us to learn more about our process and what CNC plastics machining could do for you.